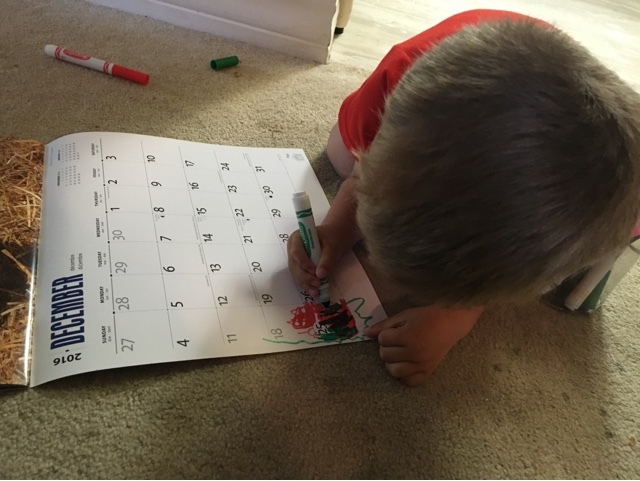 Last night Noah asked why we didn't have a calendar to look at the days so I grabbed one for $1. Turns out he was only really thinking about Christmas and counting the days til Santa comes. So this is basically a 6 month advent calendar. Ha! PS He really wants to be Santa for Halloween.